It might be one of nature's most agile and calculating hunters, but the wolf spider won't harm an insect that literally leaves a bad taste in its mouth, according to new research by a team of Wake Forest University sensory neuroscientists, including C.J. "Jake" Saunders. 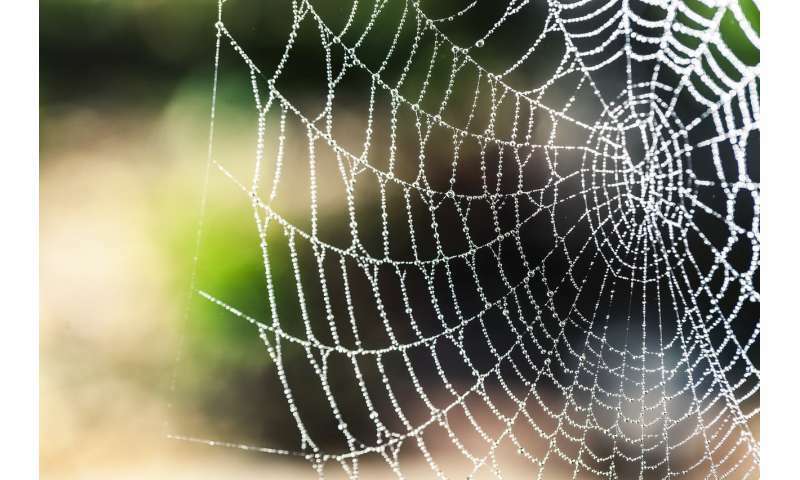 Scientists have known for some time that certain insects produce chemicals that irritate the mouth or skin of the mammals or birds that try to eat them – but they didn't know if those insects caused the same reaction in spiders. "They turned themselves into tripods and wiped the coated leg with their free legs," Saunders said. "It's like when you touch a chili pepper and then rub your eye, times eight. That grooming reaction is what we would call a robust behavior!" "That's a behavior spiders usually don't do," Saunders explained. "But the spider got rid of the cricket and started grooming its mouthparts." An insect's chemical defenses against predators work by modulating the transient receptor potential (TRP) channels in the predator. TRP channels activate sensations such as pain and taste. When the researchers sequenced the wolf spider's brain cells, they found the same molecules that are activated in humans in response to an irritating chemical exposure.